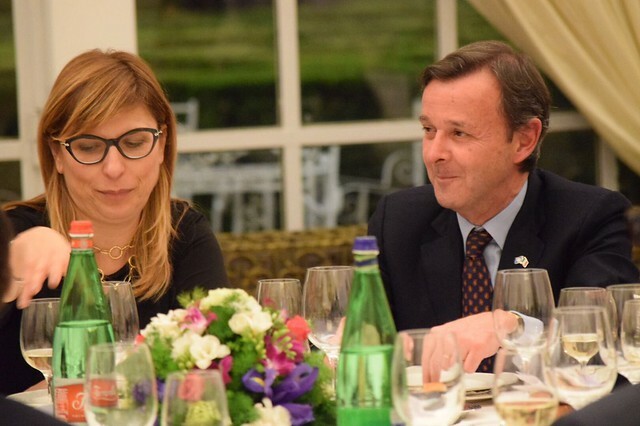 From March 7-9, 2016, the Government of Italy, the Ocean Sanctuary Alliance and the UN Environment Programme (UNEP) organized an international conference to support the achievement of a globally agreed target to conserve at least 10% of coastal and marine areas by the year 2020 (SDG 14, TaSDG 14rget 5). This is part of the 10X20 initiative* launched in October 2015 by the Government of Italy and the Ocean Sanctuary Alliance. The first two days of the conference, led by Professor Ellen Pikitch of Stony Brook University and OSA, involved 25 international experts who discussed good practices aimed at identifying measures to designate and promote the establishment of effective marine protected areas (MPAs). The discussion focused on science, governance and finance, leading to the generation of the “Scientists’ Consensus Statement,” which summarizes the state of the art on ways and means to establish successful MPAs. On the third day, diplomatic representatives of 33 countries from around the world, particularly Small Island Developing States (SIDS), joined the conference to engage in a dialogue with the scientists and formulate together a “roadmap” for moving forward on achieving the 10% target. This roadmap—the Rome Call to Action—is built upon the Scientists’ Consensus. It is a guide to help national governments, UN agencies and development investors over the next 15 years to promote MPAs that are designated and designed on the basis of the best available science, and that are effective, equitable and financially sustainable. The Italian Minister of Foreign Affairs, the Hon. Paolo Gentiloni, opened the scientists-diplomats joint session. The Italian Minister of the Environment, Land and Sea, the Hon. Gian Luca Galletti, closed the event. *The 10X20 Initiative was launched in October 2015 by the Government of Italy and by the Ocean Sanctuary Alliance to promote the achievement of target 5 of SDG14. A steering committee has been established as the instrument of advocacy of the initiative as well as a means for generating support for the voluntary creation of MPAs and a forum for exchanging knowledge and best practices. The Steering Committee brings together governments, international organizations, NGOs, foundations and private companies and is open to all Member States.